Where will Spain get money for bank bailouts? 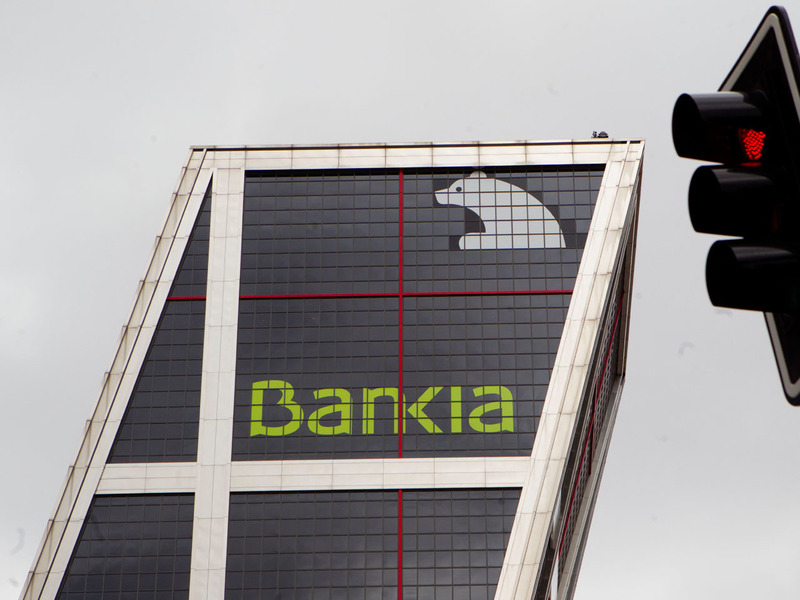 (Money Watch) COMMENTARY On Monday Spain reversed course and announced plans to rescue Bankia, the country's third biggest bank. This is to be the centerpiece for an overall banking "reform" - which is another word for bailout - the fourth such "reform" in the last three years. How the government will pay for it is anyone's guess. Just saving Bankia alone will cost billions and Spain is, to use the technical term, broke. Spanish and EU leaders have been saying for some time the banks didn't need a bailout, which is why the bailouts come as a surprise to no one. As H.L. Mencken said: "It is hard to believe that a man is telling the truth when you know that you would lie if you were in his place." Practically all of Spain's banks owe more money than they can ever possibly hope to pay. This is because of real estate values that make Detroit look good by comparison. Between January and February of this year, the amount of non-performing loans held by Spanish banks increased by $5 billion. They now make up 8.2 percent of the banks' credit portfolios. That amount has increased along with - and because of - the unemployment rate, now over 24 percent. The usual way of paying for this reform effort would be selling government bonds. Unfortunately every time Spain has tried selling bonds lately it has had to increase the amount of money it promises to pay. Even then, most of those buyers are the nation's own bankrupt banks. They are paying for it with money borrowed from the government or the ECB. This is a case of Peter loaning Paul money before robbing him. Prime Minister Mariano Rajoy today said very loudly that the Bankia operation is not a state takeover. The only reason to believe this particular denial is that nationalizing the banks would mean officially putting the debt onto the government's books. Instead we get the "wink, wink, nudge, nudge" situation where everyone pretends the government isn't responsible for the debt it is so desperately trying to pay off. Kudos to Rajoy for keeping a straight face when he said, "If it was necessary to reactivate credit, to save the Spanish financial system, I wouldn't rule out injecting public funds, like all European countries have done." Movies and folklore suggest a number of different ways to deal with zombies: Decapitation, fire, shotguns, chainsaws and more. Instead of any of these the Spanish government is going to give them money, again.